Bangladesh a 11th election a ja hoiasay sai sob (Hather pather gondo) nea USA government a janabe. It's definite that US never support opponent parties as they are only keep busy with their benefits. Definitely this government will fulfill their needs to get US political supports. ১/২ দিনের মধ্যে নতুন নাটকের প্রথম পর্ব দেখতে পাবেন! !মিলারকে হত্যার হুমকির অডিও ফাস! তার প্রাথমিক নিরাপত্তার জন্য ভিসা বাতিল করা হইয়াছে!নিরাপত্তা নিশ্চিত এর পর তাকে আবার আনা হবে!!! মিলার মিলারের দেশে গেছে, এখানে বড় করে নিউজ করে কি লাভ??? 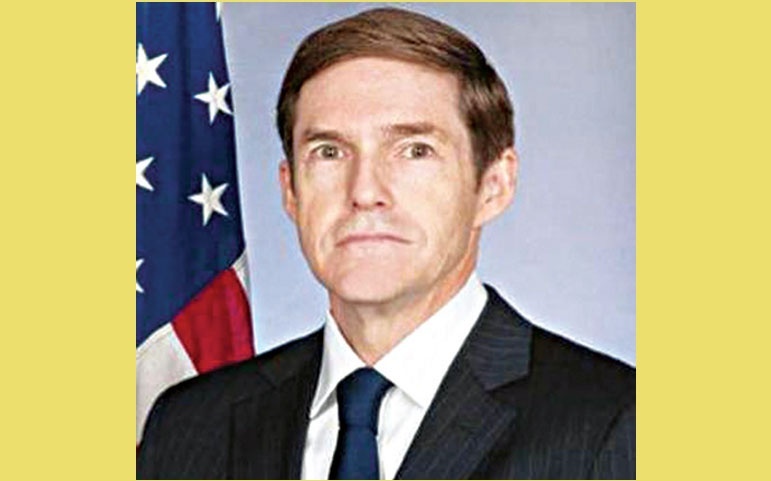 In south Asian reason , US policy is to protect Indian interest. Because with Indian assistance they want to counter Chinese interest. Where as what is happening in Bangladesh this isn't matter for them. Because they seem it's Indian eye. So, some one who thinks that they do something for us , is wrong.